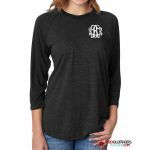 We have huge selection of monogrammed shirts for ladies! 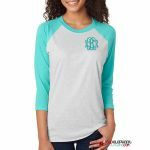 Choose from monogrammed denim shirts or monogrammed baseball shirts. We also have monogrammed pocket t-shirts and several other style monogrammed t-shirts too! 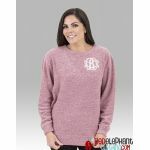 Our monogrammed button down shirts are perfect for brides getting ready for their big day and you'll love our entire line of affordable monogrammed shirts. 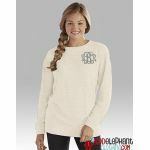 Enter your email address for exclusive deals, special sales and info on new products. 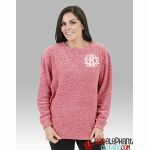 © 2007 - 2019 Red Elephant Clothing.